14-year-old Beatrice Thomas lives with her mother and younger sister Tilly in a small country town during WW1. She gets a job as a telegram girl and has to convince the telegram boys that she's up to the task, as she delivers telegrams through the Armistice, influenza epidemic an... read full description below. "Fourteen-year-old Beatrice Thomas lives with her widowed mother and younger sister Tilly in a small country town overshadowed by the events of World War One. 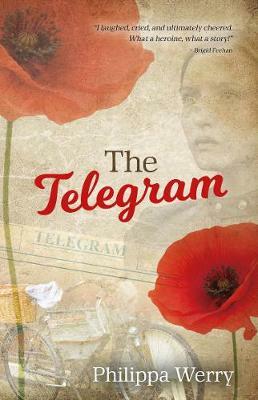 Many of the local boys, including Beaty's friend Caleb, are away fighting.When Beaty has to leave school, she gets a job as a telegram girl at the Post and Telegraph Office. The work is tough - she often brings news of sons killed or wounded. She must convince the telegram boys, and herself, that she's up to the task, at a time when women's roles were limited.Meanwhile, Caleb's letters turn darker as his initial enthusiasm fades and reality takes over. The war finally ends, but Beaty continues delivering telegrams through the Armistice, the peace celebrations and the dreadful influenza epidemic. Soon she's running the Post Office almost single-handed. Then Caleb's letters stop arriving"--Back cover.